ps: My friends Tesla, Hansel and Ben are in a contest to help raise funds for the shelter that Hansel was adopted from! You can click here to vote for Hansel to be a calendar cat! It costs one green paper to vote. Good luck, Hansel! I hope this is a better week than last week! What a lovely tribute my friends. It's been a really hard week hasn't it. Rumblemum is going to go vote for your friend! It is important to remember all of our friends with a smile. Big hugs for a lovely and gentle post. Thank you Daisy, Harley and Mum. That was a nice post Daisy and Harley, it has been a sad week, but we know how much our friends would want us to keep smiling. That's a great post you two. Our hearts feel warm and fuzzy too. That's a very nice thought Daisy. That is very sweet Harley. I hope this week is better than last week. Oh Daisy and Harley that is such a nice tribute to all the kitties that had to go to the bridge. Have a great week. We voted for Hansel. I think it would make our Bridge friends happy to know that we smile when we think of them. What a lovely post today. Now we feel warm and fuzzy too! You are very wise, Miss Daisy. Harley is lucky to have such a good sister. You made us smile, wat a luvly way to start da week. Now we feel all warm and fuzzy too! We hope it's a better week than last week too. 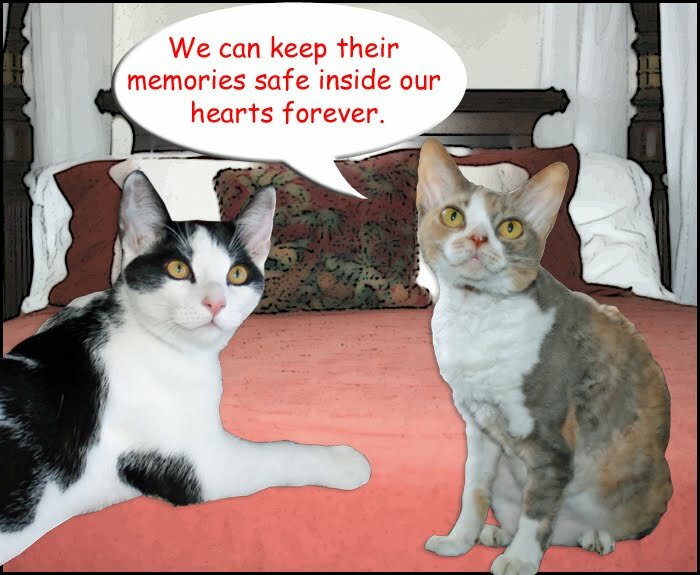 Last week we had the sads ~ but like yoo, we are gonna hold the memories of our friends in our hearts forever. What a sweet post and nice way to remember our friends. Oh, Daisy. You are such a good sister. So wise and comforting. It's hard to understand sometimes, why we have to let our beloved pets go to the Rainbow Bridge, but you explained it very well. This is such a sweeeet comic today. 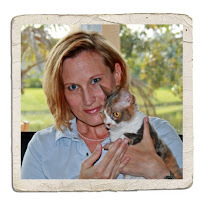 That was a lovely post and we loved how you were putting a comforting paw onto Harley in the last picture Daisy. Nice to see you comforting your brother Daisy, I think he is a sensitive boy. You're warm and fuzzy on the outside too, Harley. That was a very nice way of looking at it Daisy--I am glad that you pointed that out. Last week was so bad for our friends! The only good thing is that we know we have more angels looking out for us now. Oh Daisy you are so sweet! We needed this comic today, Daisy! Thank you! You are very wise Daisy. We will keep our happy memories of our friends in our hearts. It is sad but we will all go to the bridge one day. You were very nice to Harley, Daisy. 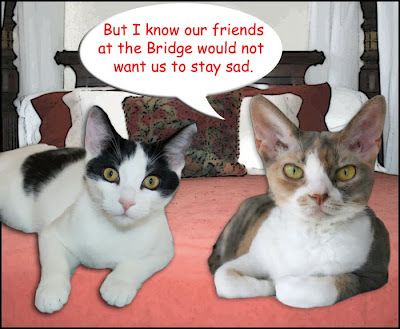 Me and mommy thought this was a wonderfur tribute to our furriends who went to the Bridge. Thank you Daisy and Harley. Big hugs to both of you from mommy and bonks from me. Thank you so much, Daisy and Harley. This is such a sweet post - we really appreciate it. P.S. Thanks so much for your kind words about Blackie. What a sweet post. We feel warm and fuzzy now, too! It was sad to lose so many friends last week. 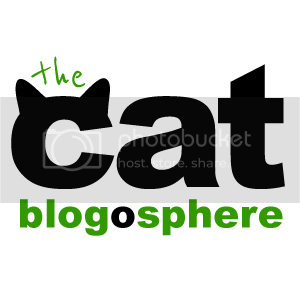 We know they will live forever in the hearts of the Cat Blogosphere. We all agrees with both of you Harley and Daisy. This is the best comic you have ever done. We feel all warm and fuzzy now, too. Thanks for being our pals! You are very wise, Daisy. All our "at The Bridge" friends still live in our hearts. This post made our hearts feel less sad. Thank you! I like to think there was a big welcome party for them just the other side of the bridge. A beautiful tribute you two...You brought a tear to me. This post made us feel all warm and fuzzy too...thanks, Daisy and Harley! Lovely message today Daisy and Harley! We needed that. Our frieds will be with us as long as we keep them in our hearts! 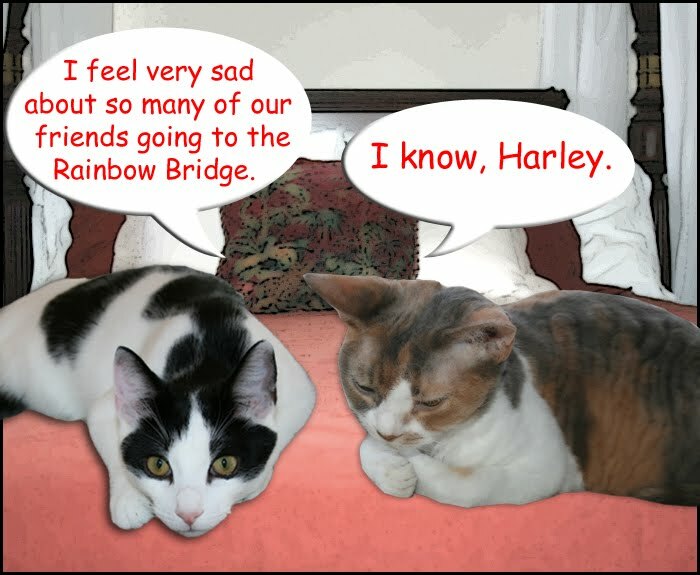 Daisy, you and Harley are very wise little kittehs. Hope you both have a great week. Yes, the two of you are very wise kitties. Oh Daisy and Harley what a nice post for all the friends out there. Very nicely put you two! We hold our dear friends forever in our hearts. Awwwwwww!!!!! We just loved today's Monday funnies!! We miss all our furiends, too!! We will never gorget!! Wonderful tribute Daisy and Harley. 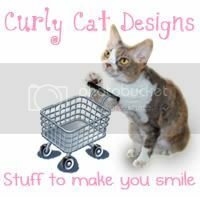 I'm sure our furends would love this post and your art.